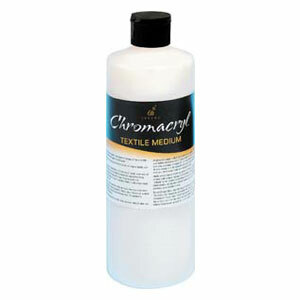 Chromacryl Textile Medium is great to use for printing or free-hand painting on fabric. Add one part Chromacryl Textile Medium & two parts paint, to convert your acrylic paint into an immediate and washable textile & fabric paint. Paint your image, heat set with an iron and then wash to release the acrylic binder.